Instructional research has consistently identified teacher enthusiasm as a key facet of high teaching quality. Social psychological reasoning—specifically, the expectancy formation hypothesis—further implies that cues about the teacher’s motivation are relevant for students’ motivation and emotional experiences. The present experiment integrated these two strands of research by independently manipulating implicit behavioral motivational cues (high vs. low displayed teacher enthusiasm) and explicit motivational cues (intrinsic vs. extrinsic) to explore their individual and joint effects on students’ perceptions of the teacher, and their own emotional experiences, motivation, and subjective learning. Data was collected from N = 483 university students (59% female) who watched a short instructional video. An actor, introduced as volunteering or paid expert, delivered an identical script either with high or low displayed enthusiasm. 2 × 2 between-subjects ANOVAs showed favorable main effects of both displayed enthusiasm and ascribed teacher motivation on perceptions of the teacher and on students’ own emotional experiences. Additionally, there were significant interaction effects on perceived teacher motivation and enjoyment and on subjective learning. Only in the low displayed enthusiasm condition, the extrinsically motivated teacher was perceived as less joyful and motivated. Student ratings of subjective learning were particularly high in the high enthusiasm/intrinsic condition and in the low enthusiasm/extrinsic condition. 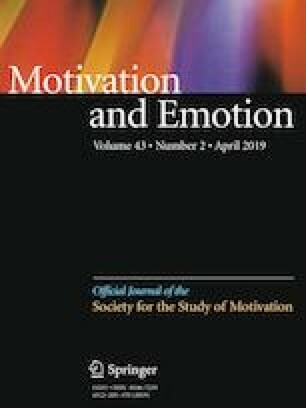 We conclude that teachers can send out positive motivational signals even in the presence of extrinsic motivation cues (i.e., financial compensation for teaching). The online version of this article ( https://doi.org/10.1007/s11031-018-9738-7) contains supplementary material, which is available to authorized users.